I suspect that I am not the only person you spent a good deal of her high school years drying her face out with the use of toner. I used a drying, alcohol based toner because I believed that this was a very necessary step in my skincare regime in order to prevent acne. Luckily I finally realized that the use of an alcohol based toner was unnecessary in order to prevent acne. It took me some more time to learn that not all toners are created equal and that there are some products labeled “toner” that actually can do some good things for your skin. Let me explain. Freshners have either no alcohol content or up to 4% alcohol content. The use of this product is meant for dry, mature, or sensitive skin since too much alcohol will dry out and damage those skin types. 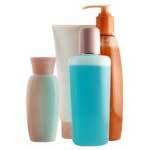 Toners have an alcohol content for between 4 to 15% and are meant to be used by those with normal to combination skin. Astringents have a very high alcohol content – up to 35% – and are meant for oily skin. They are meant to remove excess oil from the skin, but because of their high alcohol content most people will find them too drying. This product is rarely needed since it can do more harm than good. When you don’t need a toner: I don’t think that you need a toner every night in order to make sure that you have removed all your make-up or cleanser. Using a good make-up remover and the proper cleanser is definitely more than enough in order to make sure that your make-up is all off (the only place you might feel the need to go over again would be the eye area since waterproof eye make-up can be hard to remove). If after washing your face you feel that you still have cleanser on your face than switch your cleanser. A properly formulated facial cleanser will certainly wash off your face easily without leaving residue behind. The claim that toners will close your pores is a silly claim. First of all, there is no need to seal your pores shut. Toners will give you a temporary tightening effect but why do you need that anyhow? The issue of your skin’s pH level being disrupted because of cleansing is really only a problem if you use soap, which is very alkaline, to wash your face. If you use a facial wash or cleanser you won’t have to deal with the issue of your skin’s pH being disrupted. When you could consider using a toner: There are lots of toners available that can actually hydrate the skin and even leave behind a number of beneficial antioxidants. These types of toner are good for use during the summer when your skin feels more oily and you don’t feel that you need to moisturize (your skin isn’t actually producing more oil during the summer; it just feels that way because of the increased humidity in the air). In addition, there are some people who don’t feel the need to use a lot of moisturizer ever so using a toner could be a great way to add some moisture to the skin and get some antioxidant benefits as well. If you have combination skin (oily T-zone, normal skin everywhere else) you might consider using a toner with witch hazel extract, lactic acid, or salicylic acid just on your T-zone. But don’t go overboard since too much toner with the above mentioned ingredients can be drying. Use them on as needed basis and no more than once a day. Some toners have ingredients that can actually soothe the skin and reduce inflammation so using a product like that if you have sensitive skin might be a good option. Lastly, in a previous post I mentioned that some people who have very dry or irritated skin may want to forgo washing their face in the morning. If you don’t feel comfortable just splashing your face with warm water in the morning consider using a gentle, alcohol free toner in the morning instead of your facial wash. You will very gently clean your skin that way and also hydrate at the same time.